It’s just you, your opponent, the walls, and a ball flying at you at high speed. 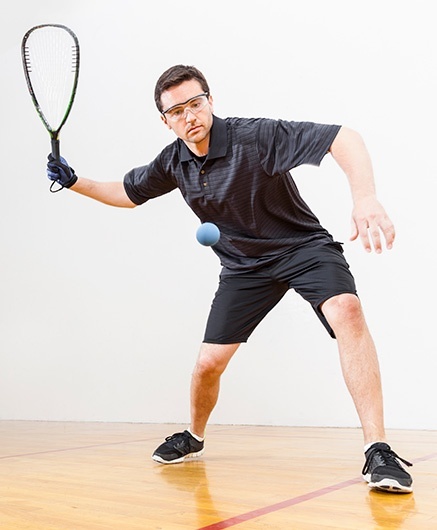 If you’re a racquetball veteran, you know the thrill of stepping into that enclosed court and getting in a good workout while engaging in some friendly competition. The good news is, you don't have to join an expensive racquet club! Your Cal Fit membership gives you access to 12 racquetball courts in the Sacramento area for about half the cost of other local gyms with racquetball courts -- so whether you're a veteran or beginner, you have a place to work on your backhand. You can call in advance and book a court for up to an hour. Unreserved courts are available on a first come, first served basis. Show up and find an opponent during a challenge court time. Contact your club for specific challenge court days and times. In case you forget your equipment, loaner racquets and balls are available on a first come, first served basis. Stop by for a little friendly competition today! And of course... it burns fat and calories! 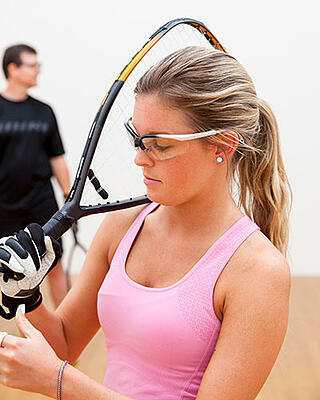 With so many great reasons to play, why not find a Sacramento area racquetball court today? If you're not a member, now's a great time to sign up!